TEXTING SAGE ~ An Interview with SAGE DONNELLY. by Nick Carlson ofOUTSIDE TO THE MAX. | DBP MAGAZINE ONLINE The World's Best Free Whitewater Publication. “This is a moment I’ve been dreaming of since before I can remember,” Sage Donnelly told the crowd on the Ottawa River after winning the 2015 ICF Canoe Freestyle World Championships. The 15-year-old kayaking phenom has a knack of dreaming big and creating remarkable memories. 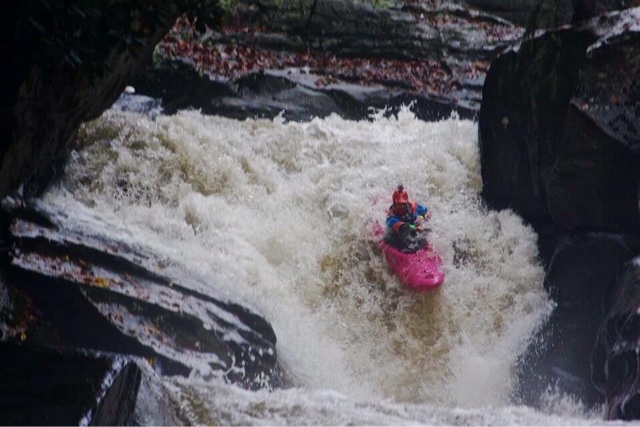 Along with winning the ICF title, she has won the 2013 GoPro Mountain Games, her hometown Reno River Festival and placed at the GoPro Games’ Steep Creek Championship the past two years and was voted in as Canoe & Kayak’s 2014 Female Paddler of the Year. She has been picking up steam ever since. 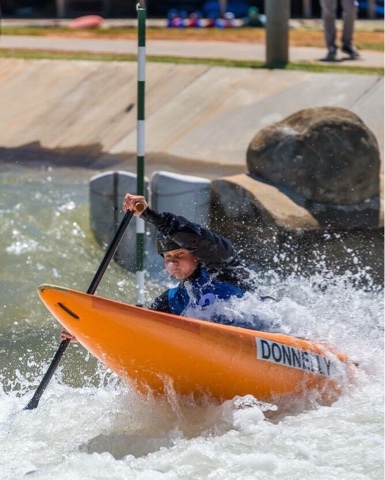 The Carson City, Nevada paddler, competes in both freestyle and slalom kayaking events and is now vying for a spot on the US Olympic Team all while living with type 1 diabetes. “It makes it harder,” Sage told Canoe & Kayak Magazine, “But, I take it as it comes and just kind of work with it.” Sage is connected to the Juvenile Diabetes Research Foundation, an organization seeking a cure for type 1 diabetes and providing support for those living with the condition. An Outside Adventure to the Max favorite, we had a chance to get in a few questions with Sage about her busy year. OAM: It has been a big year for you. Trying to make the Olympic Team and getting a driver’s license. What is next? SAGE: I still have a super busy year ahead of me! I’m currently flying back to Oklahoma City, from LA where I was doing a diabetes commercial. Next up, I have the second Olympic Trials in Oklahoma City. I then drive to Colorado where I have three Freestyle and Creek Racing Competitions. Right after I’m finished in Colorado, I head to Poland for Jr./U23 Slalom World Championships in July. I will probably stay in Europe through August competing in slalom across the continent. OAM: You have had a young start. Do your remember your first time in kayak? SAGE: I don’t remember exactly my first time in a kayak because my parents pretty much raised me on a river. I was put into the front of a two person boat with my dad in the back when I was two-years-old and started running rivers in my own boat when I was 4-years-old. So, all of my early memories are of me in a boat or around the water. OAM: Young people seem to have little fear. Are you fearless? SAGE: I’m definitely not fearless. Since I’ve been doing this for 10 years I have developed a very good sense of my ability. However, I still do get scared, but when I do, I always try to work through it. I always break whatever I’m doing down into smaller steps and take into consideration what the consequences are. OAM: How have you overcome your health issues thyroid disease and celiac disease and why doesn’t it hold you back? SAGE: Well, along with Celiac and Thyroid Disease, I also have Type One Diabetes, which I would say is the hardest to manage. It’s always a constant struggle of trying to keep my blood sugar levels balanced while training. I was diagnosed when I was 3-years-old, so honestly, it’s just part of my life. Yes, it is a pain to have to do extra stuff to take care of myself, but I just take it as it comes and no matter what, never let it stop me from achieving my dreams. OAM: Is it hard to be normal teenager doing what you do? SAGE: I have no sense of what being a normal teenager is. Haha! I’ve been home schooled all my life and I travel around in a van competing over 9 months out of the year. But I do still hang out with my friends and am super lucky to be able to do what I love with my friends all the time! OAM: How do you go to school? SAGE: My mom and dad are teachers, but I do all the work myself with them checking and helping when needed. I do all normal subjects that any kid my age would do and I’m currently doing college books for a curriculum. I’m also going to test out of high school when I get home from my summer travels and start online college classes. OAM: Who are your influences? SAGE: I have so many amazing role models to look up to in the kayaking community, but I would have to say my biggest are Claire O’Hara, Adriene Levknecht, Jessica Fox, Rush Sturges, and Nouria Abou-Newman. OAM: Your home is Carson City. But where do you like to kayak most? 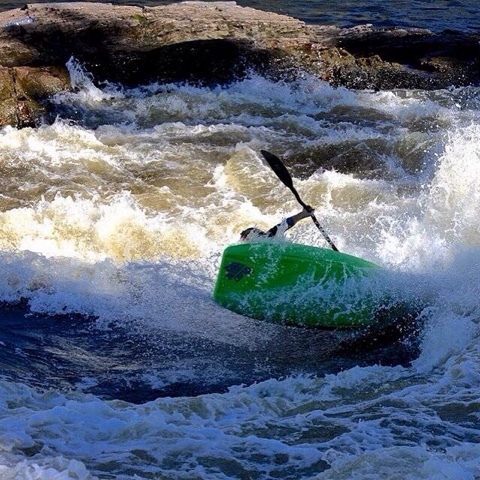 SAGE: I would have to say my favorite places to kayak are the North Fork of the Payette River (Upper, Middle, and Lower 5 sections), the Ottawa River, and the US National Whitewater Center in Charlotte, NC! OAM: In whitewater kayaking you are an up and coming star, but do your get a little star struck paddling with some of the greats? How does that feel? SAGE: I get star struck quite often actually. It’s just incredible to be able to boat and compete against all of the people that I used to watch when I was younger and think “I want to do what they’re doing someday,” and to be coming up to that level and be around them and talking to them is just really awesome and inspiring! EDITOR’S NOTE- Nick Carlson is a past contributor to DBP MAGAZINE ONLINE and is the creative genius behind the adventure sports blog OUTSIDE ADVENTURE TO THE MAX. Give it a look, if you enjoy our articles you will certainly enjoy this outstanding site’s writing.